Limited time offer available through Honda Financial Services Inc. (HFS), to qualified retail customers on approved credit. ‡$1,400 lease and finance dollars consist of $750 customer incentive from Honda Financial Services Inc. (HFS), $250 customer incentive from individual Ontario Honda Dealers, and $400 HCI incentive; which is deducted from the negotiated price after taxes. Lease & finance dollars apply to retail customer lease or finance agreements through HFS for 2016 Civic EX-T Sedan models concluded between July 28th, 2016 and August 7th, 2016 at participating Ontario Honda Dealers. For all offers: licence, insurance, other taxes (including HST) and excess wear and tear are extra. Taxes payable on full amount of purchase price. Offers only valid for Ontario residents at participating Ontario Honda Dealers. Dealer may sell/lease for less. Dealer order/trade may be necessary. Colour availability may vary by dealer. Vehicles and accessories are for illustration purposes only. Offers, prices and features subject to change without notice. 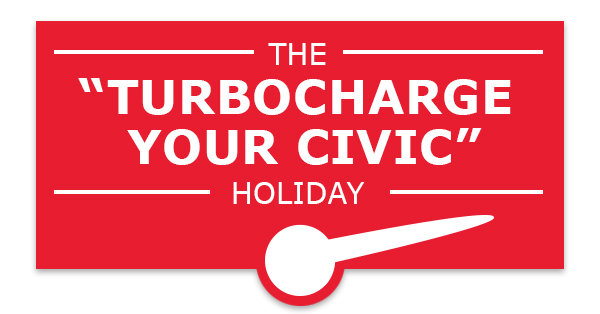 See your Ontario Honda Dealer for full details. ^Horsepower and torque calculations reflect SAE net, Rev. 08/04, SAE J1349 procedures. Based on Association of International Automobile Manufacturers of Canada (AIAMC) data reflecting sales between 1997 and December 2015. *None of the features described are intended to replace the driver's responsibility to exercise due care while driving. Drivers should not use handheld devices or operate certain vehicle features unless it is safe and legal to do so. Some features have technological limitations. For additional feature information, limitations and restrictions, please visit www.honda.ca/disclaimers or refer to the vehicle's owner's manual. 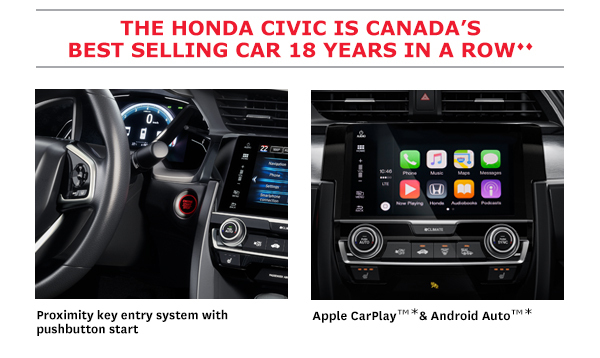 Bluetooth is a registered trademark of SIG Inc. Apple and Apple CarPlay are trademarks of Apple Inc.Android and Android Auto are trademarks of Google Inc. © 2016 Honda Canada Inc. All information contained herein applies to Canadian products only.